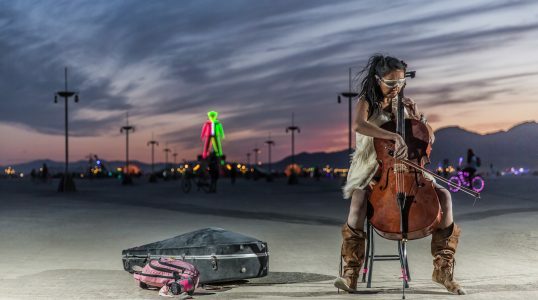 The Burning Man art festival takes place in the Nevada desert each summer. The location of Burning Man is not a permanent city, but rather a temporary one called Black Rock City. Every year, the structures that make up the artificial city are built up and torn down specifically for Burning Man. Thousands of attendees visit the annual festival to see art installations, performance art, and other creative expressions based on a yearly theme.